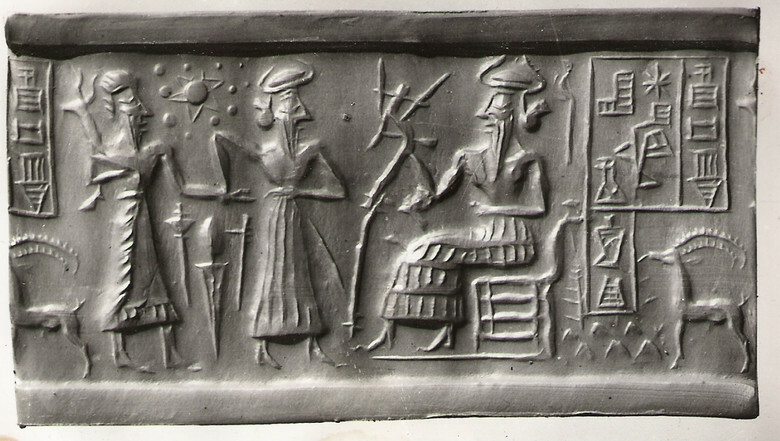 Some scholars suggest that the development of the Sumerian civilization was greatly influenced by aliens. In defense of this theory, they cite the results of their research, during which the drawings and ancient texts written on clay tablets were studied. According to these researchers, many drawings depict disks and rockets flying across the sky, and even people standing near the aircraft. Specialists suggest that some signs, painted on clay tablets, denote the flying ships of aliens. For example, a sign depicting a long cylindrical object with a pointed end was read by them as "din gir" - "gods from fire missiles". The Sumerian legends mention "glittering round objects flying in the sky, like eagles" and "shems walking in the sky." At the same time the word "shem", according to the scientists, called the Sumerians flying saucers of aliens. 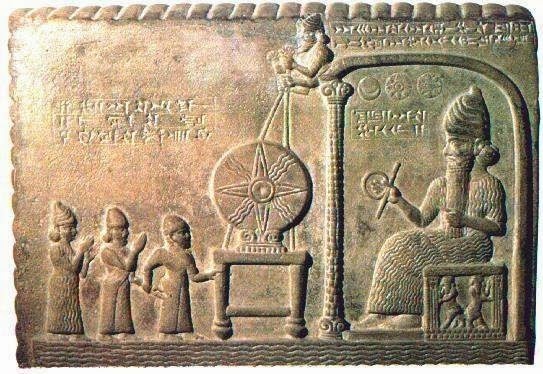 The very name of Sumer was written as "ki en gir", which means "the country of rulers of missiles". Thus, for example, in the legend of Gilgamesh, the mouths of the Sumerian king say: "In the land where I come I will find my shem, and in the place where the Shems are rising, I will rise in my shem to the very sky." And on one of the clay tablets that keep the story of the legendary king's life, the following is written: "At first the sky darkened, and then lit up with the brightest flash of light, from which appeared the mighty" God of the Sun ". For a while he looked at the people in front of him, and then left, taking Gilgamesh's friend Enkinda with him. " It is further said that after a journey through the sky Enkidu died of a mysterious illness in which Gilgamesh blamed the "poisonous breath of the heavenly beast" (according to the researchers, this is nothing other than radiation). On prints from Sumerian seals, a lot of strange objects and creatures. Aliens and their technique? The alleged contact of the Sumerians with the aliens is also mentioned in the ancient Mesopotamian text found in the library of King Ashurbanipal. It was written about 2500 BC. e. The legend tells about King Ethan, nicknamed the Kind, who lived about 5000 years ago. It is also mentioned that one day a "flying iron shield" landed in the city square near the royal palace, from which came tall, dark-skinned, fair-haired, dressed in loose clothes. They invited King Ethan to the ship and offered to make a trip with them to distant planets. The king agreed, and the ship skyrocketed. Struck Ethan saw in the porthole the Earth the size of a loaf of bread, which soon disappeared altogether from sight. Traveling in a spaceship, the king visited Mars, the Moon and Venus. When the Earth passed two weeks from the day Ethan flew off on the "iron shield", the courtiers, deciding that he was dead, began to look for a successor to the throne. Suddenly, suddenly in the sky over the city appeared a flying ship, surrounded by fire, which landed right in front of the palace. Gradually the flame calmed down, and from the ship came the living and unharmed King Ethan, accompanied by the "gods" who had stayed with him for several days in the palace. Further in the texts it is told that the king once again ascended to the sky, but already on another ship, similar to the "iron eagle". Also during the excavations in Mesopotamia, scientists discovered an unusual seal that allegedly portrayed the flight between Earth and Mars. The earth on the seal is drawn in the form of seven circles, and Mars is represented by a six-pointed star. Between them is a winged disk flying between two distant planets. In addition, the press also depicts two "gods". According to scientists, the age of this seal is approximately 6 thousand years.